This scenario — which actually happened in Taiwan — was given to students at the University of South Carolina School of Law. Their task was to devise a strategy to lead their firm through this crisis, answering all those questions and several more. After formulating their plans, they heard from guest speakers, including a managing shareholder of the Columbia office of a national firm, who revealed how they would have handled the situation. Only then did the group learn how leaders at the Taiwanese firm actually reacted, and brought their practice back from the brink. It was just one component of the School of Law’s new Konduros Leadership Development Program, which tasked students with learning different communication strategies and reinforcing their problem-solving and relationship-building skills. The ultimate goal: to equip them with the necessary tools to assume leadership positions in an increasingly complex world. The program was launched last fall, thanks to funds provided by 1954 alumnus Jim Konduros who credits the law school with helping him develop the strategic thinking and counseling skills that guided him throughout his successful career. The highly selective program is based on other successful leadership development initiatives such as the Liberty Fellowship, which brings together successful individuals who are already active in their communities. It is also entirely voluntary, meaning that all the requirements are performed in addition to regular coursework, and for no academic credit. “As a future lawyer, this program reaffirmed some leadership techniques that I had already acquired, while helping me learn new ones more specifically tailored to the legal profession,” said Rosanne Prim who graduated in May. “But as a student, the program provided unique networking opportunities for me and my fellow Konduros classmates. In addition to the seminars and intensive networking opportunities, students also worked in groups to come up with solutions to problems facing South Carolina. Projects included a plan to change the public perception of vocational schools, attracting more students interested in high-paying manufacturing and technical jobs in the Palmetto State; working with the S.C. Attorney General’s office to address cyberbullying and sexting incidents; and a program to help law students learn healthy coping mechanisms now, so they’ll be ready to handle the stress of practicing law later. “Law school can be stressful, and it doesn’t get any easier in practice. Substance abuse is a huge problem in the field,” said recent graduate Ashlea Carver. “I think it’s really important to teach law students how to manage stress and take care of themselves so they can have healthier and more fulfilling lives when in practice. 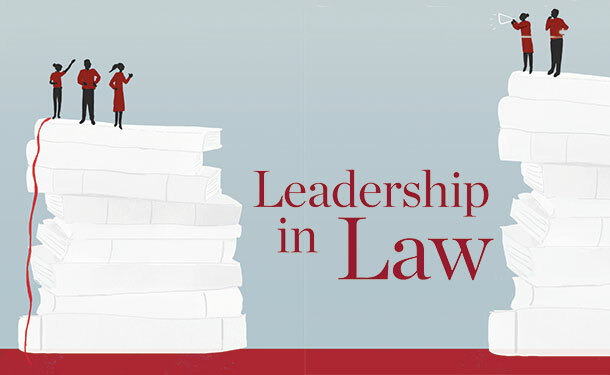 While the third-year students who completed the program have since graduated, spread out across the Southeast and are now preparing for the bar exam, all of the participants remain committed to the law school, agreeing to serve as mentors to future participants, and helping build a network of Konduros Leaders across the nation.